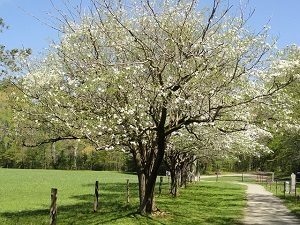 If you have a dogwood tree growing in your yard, then you’ll probably want to know how to make sure it lasts. If you have a dogwood tree growing in your yard, then you’ll probably want to know how to make sure it lasts. Here are some genius ways to care for your dogwood tree as the summer heat rolls in. First things first, make sure they’re healthy. No matter what kind of tree it is, all trees will start to wither if they are sick or old. There’s little reason a young dogwood tree should start to fade away as long as it is reasonably healthy. If you’re looking for a new tree, check to make sure that the trunks are solid and that the leaves aren’t already turning brown. You should also double check to make sure the roots aren’t already trying to outgrow the container the tree is in. Next, be sure to give your dogwood tree plenty of mulch this summer. By adding more mulch, you can help your tree fight off invading weeds and make sure it gets enough nutrients and water. Even though the soil is dry, your tree will be perfectly happy. Plenty of pests will try to make themselves at home in or on your dogwood tree. And what do we all do when we’re at home? That’s right, we start to eat. Be sure to keep the bugs away from your tree. You’ll need to exercise constant vigilance against dogwood borers. These insects like to sneak in through any holes you might have left behind since the last time you trimmed your tree, so be careful not to cut open the bark of the tree as you care for it. Whenever you’re out in the yard tending to your gardens and your trees, you need to stop and drink some water. Your trees are no different, so be sure to give them as much water as they need. Water it as soon as you plant it, and even though the rains will help nourish it, you can’t rely on the weather alone. This entry was posted on Friday, June 22nd, 2018 at 8:17 am. Both comments and pings are currently closed.